It is often hilarious to watch how both Wall Street and the Mainstream Media quickly do an 'after the fact' about face when a sudden financial paradigm shift occurs that threatens their dominance over markets. 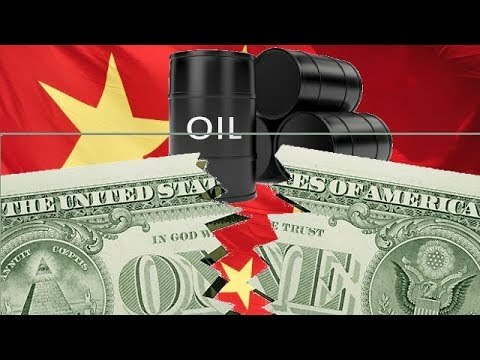 For more than a year, information regarding to the implementation of China's new Yuan-denominated oil contract was pretty much relegated to the alternative media as mainstream pundits and analysts either ignored, or vilified this move as little more than a circus stunt that would have no impact on the Petrodollar, or the oil markets in London and on Wall Street. But after yesterday's opening salvo from Shanghai, which on its first day of trading ended up having more volume than London's Brent market, mainstream analysts are suddenly scrambling and are now accepting the fact that China could very much threaten the primacy of the dollar. China’s launch on Monday of its crude futures exchange will improve the clout of the yuan in financial markets and could threaten the international primacy of the dollar, argues a new report by Hayden Briscoe, APAC head of fixed income at UBS Asset Management. The launch of the oil futures <0#ISC:> denominated in China’s renminbi currency, also known as the yuan, is China’s first commodity derivative open to foreign investors. This marked the culmination of a decade-long push by the Shanghai Futures Exchange (ShFE) to give the world’s largest energy consumer more power in pricing crude sold to Asia. Perhaps someone should inform President Trump that America has already lost the Trade War before it has barely begin.